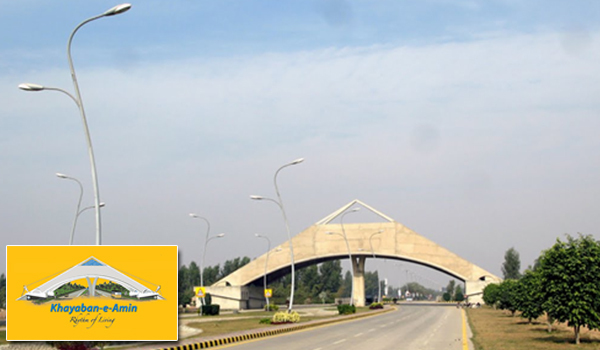 After the Lahore Ring Road (LRR)’s southern loop project was recently granted to the Frontier Works Organisation (FWO), Khayaban-e-Amin instantly became one of the most sought-after housing societies among investors. There is a view in the market that the LRR will not cut through the society, but this is not true. According to my sources, the LRR will affect many blocks including L, M, N, and P. Furthermore, the LRR’s interchange will be built in Block M. After the completion of the project, the society’s management will refund or compensate affectees accordingly. Sahir Associates, the developer of Khayaban-e-Amin, is not carrying out any development work in the society and is waiting for the LLR’s completion. The locality comprises many blocks. Possession, however, has only been granted for properties in Blocks A, C, D and L. According to my sources, these are the only blocks for which the Lahore Development Authority has granted approvals. Where should you invest in the locality? I would suggest investors stay away from blocks that the LRR may intersect. For short-term investment, you can consider blocks that have possession, while the remaining blocks can be considered for long-term investment. Yesterday, I received a call from an individual who owned a house (developed by Sahir Associates) in Block P of the society. Recently, he called the society management to confirm the status of his house, as the developer has yet to complete it and hand it over to him. To his surprise, the society official informed him that his house number has been changed and now he will get his unit in another location in the same block. Upon investigating the matter, I learnt that the developer had to change the house number because of some land-related issues. I have shared this story to warn you. When it comes to Khayaban-e-Amin, make sure you make informed decisions to avoid any untoward circumstances. And that’s all I have to share about this housing project for the day. If you have any queries in mind, feel free to converse with me in the comments section below.